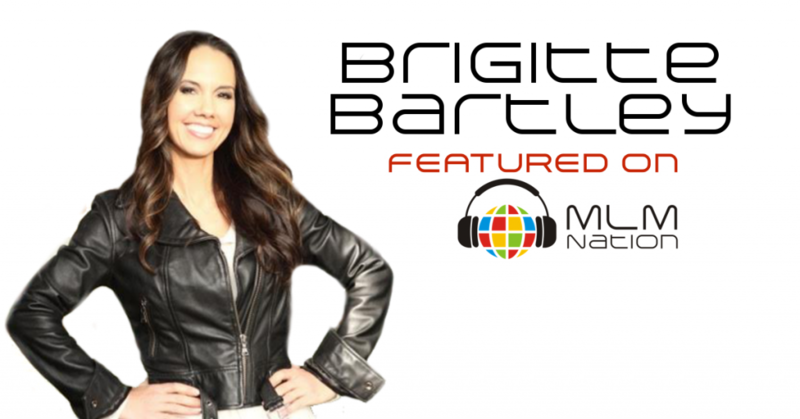 Discover how Brigitte Bartley turned a 5 figure month into a 5 figure week using social media. Also 1 simple change that will instantly boost your duplication. Brigitte Bartley is a professional network marketer and mother of three boys. As someone who is driven and motivated, Brigitte had a desire to own her own business and travel and the thought of going to a “job” just didn’t make sense for her because Brigitte wanted to create her own schedule, be her own boss and most of all, continue being a full-time mother to her 3 boys. In 2015, Brigitte coauthored a book, The Energy of Happiness , which was an “Amazon #1 Best Seller”. In this book, Brigitte shares how she chose to live a life of peace, trusted her intuition, saw the perfection in every situation, how she shifted mindsets, and learned how to be self confident. As a self-proclaimed “reserved and quiet” woman, Brigitte’s bigger vision is to empower women by sharing her story and how she made it in MLM.